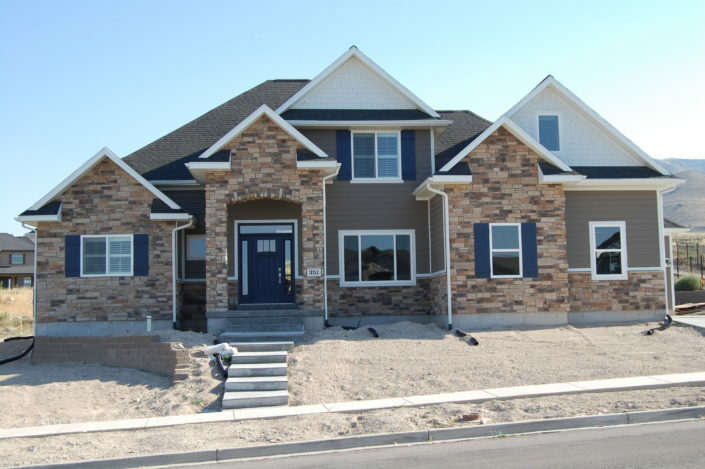 As one of Cedar City’s premier Home Builders, Robert A Bulloch Construction has over 30 years of experience to meet all of your building, remodeling, and project needs. When it comes to building a new home, quality begins from the ground up. At Robert A Bulloch Construction, everything we do stems from our passion for quality. Our attention to detail is unmatched. Our “Do It Right The First Time” attitude starts long before the actual construction process and extends long after the final touch has been put on your home or facility. For most people, building a custom home has been a lifelong dream. They have worked hard and decided that now is the time to build the home of their dreams. We work hard to provide our customers with exactly what they want in a custom home building experience. Ask around and you will find that Robert is behind some the the most beautiful concrete work in Cedar City. Our stamped and custom concrete is something that has to be seen to be appreciated. If you are looking for some examples of our work, then please visit our Gallery page. One of the biggest decisions you will ever make in your life is purchasing or building your first home. With times what they are now, families are staying in their homes longer espesially starter homes in Cedar City. At Bulloch Construction, we work hard to provide our customers with exactly what they want in a home building experience. We want to make the process of building as easy and hassle-free as possible. Our promise is to meet or exceed your expectations in all aspects of a project. We will do everything to insure that the job is completed on time and within budget. If you ask most people they will tell you gone are the days when buildings we built sometime just for the sake of displaying true craftsman ship. The charm of vintage homes is often the detail that was given to the woodwork that was inside the home. Crown and pencil moldings decorated the ceilings. Chair rail and tall baseboards decorated the walls. In some cases you’re not ready to move, but the existing home is not meeting your needs. This might be time to update the tile in the kitchen, replace the cabinets in the bathroom or get rid of the popcorn texture down in the basement. Robert will give your home the make over you want. Our goal is to meet or exceed your expectations in all aspects of a project and we do all we can to insure that all jobs are completed on time and in budget. We provide personal on-site management along with interactive communication and openness with our clients for all phases of each project. We are well known throughout Southern Utah because we maintain the highest level of professionalism, integrity, honesty, and fairness with our clients, our suppliers, sub-contractors, and professional associates. When it comes to building a new home, quality begins from the ground up. Our attention to detail is unmatched. We “Do It Right The First Time” with attention to detail using the right materials and products suited for the particular application. We understand choosing a contractor is a very important decision and often it pays to do your homework. We would invite you to come and visit some our projects, check our references, and give us a call. The amount of experience a builder has translates into solving problems quickly and knowing how to solve problems before they become problems. You need to be able to reach your builders to discuss your concerns and to stay aware of the progress of your new home. Be sure that your home will be built with high quality materials so that it will last longer than your mortgage. Does your builder have a great reputation with professionals in related fields? A strong reputation is a good indicator of whether you will be happy with your new home.